Did you ever imagine that you will be able to invest in the property market with just Rs 2 lakh in hand? Once considered impossible, it may soon become a reality, as the Securities and Exchange Board of India (Sebi) has given its approval to Real Estate Investment Trusts (REITs). Like mutual funds, REITs will pool in money from investors and issue units in exchange. Most of the money so collected will be invested in commercial properties which are completed and are generate income. The REIT will have to first get registered and raise funds through an initial public offer or IPO. Units of REITs will have to be compulsorily listed on exchanges and will be traded like securities. The guidelines, approved by its Sebi board, have kept the minimum requirement for asset sizes permitted to be listed in India at Rs 500 crore. The minimumissue size of the initial public offer shouldn't be less than Rs 250 crore. Therefore, like stocks, investors will be able to buy units of REITs from both primary and secondary markets. While investing in an IPO, the minimum investment amount will be Rs 2 lakh, while on exchange the minimum lot size will be Rs 1 lakh. "Apart from a low entry level, REITs are expected to provide a safe and diversified investment option at reduced risk, all under professional management, to ensure the highest return on investment. This new investment vehicle is characterised by its investment in real estate assets as well as limited liability for unit holders", says Anshuman Magazine, CMD, CBRE South Asia Pvt. Ltd. But will REITs, which are allowed only to invest in commercial properties, be able to deliver returns that one expects from real estate investments? An investor can earn two types of income from REITs. One through capital gains when he sells the units of REITs on exchanges and the other through dividend income. The distributable income will depend on the cash flow through sale of property or through rental income. Experts feel that one shouldn't have any unrealistic expectations from REITs as they are structured to suit risk-averse investors. "These are meant for risk-averse investors who want regular income without taking too much risk. REITs are for investors who want to diversify their assets beyond gold and equity markets," says Neeraj Bansal, partner and head of real estate and construction practice, KPMG. Also, real estate markets have done poorly because of oversupply and lack of demand due to high prices. The rental yields have not been very attractive either. "Yields on commercial assets (which are essentially pre-leased) do not exceed 9-10%. Hence, what a business trust can offer to the investor can be at best 7-8% a year after adjusting for expenses of managing the fund," says Hemal Mehta, senior director, Deloitte in India. Dividend income: At least 90% of the distributable cash flow must be distributed and at least twice a year. REIT, through a valuer, will undertake full valuation on a yearly basis and update the same on a half-yearly basis and declare NAV within 15 days from the date of such valuation/updation. REITs will have to invest in at least two projects. Not more than 60% value of assets will be in one project. 1) Not less than 80% of the assets should be invested in completed and revenue-generating properties. The rest 20% can be invested in under-construction properties, mortgage-backed securities, listed/unlisted debt of companies in the real estate sector, equity shares of listed companies which derive not less than 75% of their operating income from real estate activity, G-secs and money market instruments and cash equivalents. 2) Sponsor, trustee and manager cannot be an associate. This will ensure there is no conflict of interest. Therefore, experts are advising investors to exercise caution before lapping up REITs. 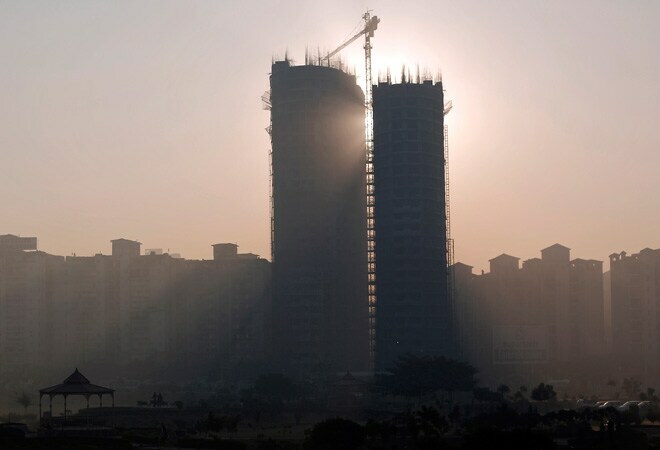 "While anticipating handsome returns one must be cautious of the recent performance of the commercial real estate market in India and the associated stagnancy in asset pricing growth across most projects. Investors should also keep in mind other costs such as tax outflow, stamp duty and other conversion charges before investing in these instruments," says Anshuman of CBRE South Asia. However, REITs do provide the benefits of diversification, safety and easy exit.